You thought it was another outdated camera, destined to gather dust in the back of the closet... You couldn’t have been more wrong! There’s nothing old-fashioned about the Bolex D16 camcorder. Except for its appearance, of course. But that’s all there is. For about $3,300, you will hold the most recent technology in your hands, as well as the super trendy charm that only vintage can offer. Seems crazy to launch a digital 16 mm camera? Not at all! 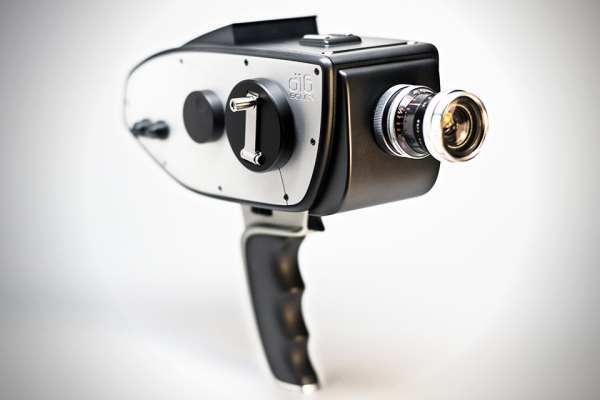 The Bolex D16 shoots 2k RAW video with a Kodak CCD sensor and produces images with a frame size equivalent to Super 16 mm. A camera for filmmakers, designed by a filmmaker, the Bolex D16 fits perfectly well into the daily routine of film enthusiasts who want to make high-quality movies. With its 60’s look, the super cool pistol grip, and the half metal, half plastic finish, this camera has people talking. True to its distinctive style, the mix of retro with state-of-the-art technology is definitely a coming attraction! Pocket Spotlight, and Then There Was Light!